Schneider Electric has agreed to supply Green Mountain with fifteen of its prefabricated data center modules, as Norwegian data center operator plans to double its power capacity across both of its data centers, located in Stavanger and Telemark. The expansion represents a €31.5 million ($36.25m) investment for Green Mountain, and will increase the company's power capacity by 35MW across both facilities. Schneider’s modules were originally launched in 2011. The pre-manufactured, containerized power and cooling systems are built at the company’s production facility in Barcelona before being shipped to their destination, allowing for much faster installation than traditional systems. Modular construction is often used by companies that wish to scale their facilities up rapidly; for example, Interxion used Schneider modules while it was building its second data center in Marseille (France) and already had customers on site. Schneider says the modules are fitted with the latest air economized cooling systems and lithium-ion UPS. The company will also supply electrical distribution and switchgear equipment. The expansion is expected to be completed in April 2018. 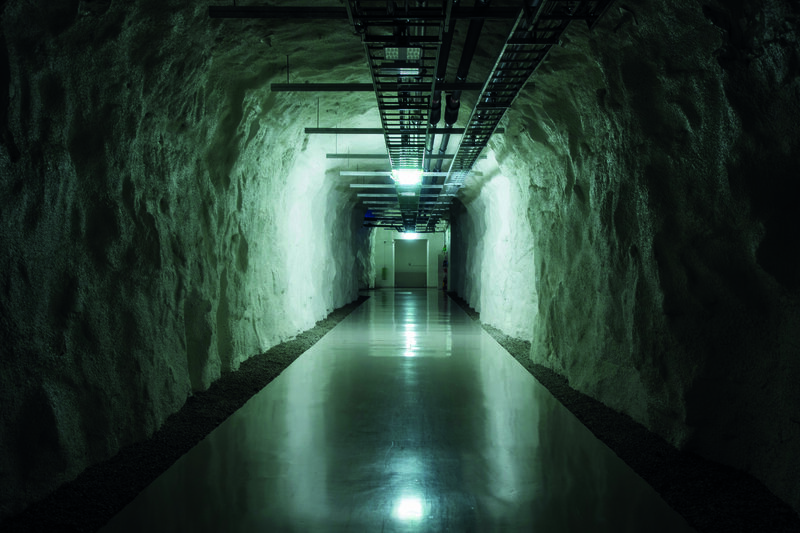 Green Mountain’s data center in Stavanger, built in 2012, is a former NATO arms store and is, quite literally, located inside a mountain, above a fjord. True to the company’s environmentally-friendly brand, it runs on hydroelectric energy and its servers are cooled by the sub-glacial water source, which remains at 8°C (46°F) year-round. Last year, the facility was nominated as one of DCD’s top 10 most beautiful data centers – but, sadly for the Norwegian operator, our readers decided that the Mare Nostrum Supercomputing Center in Barcelona was the best-looking. The company’s second hydroelectric-powered data center, which came online in 2014 in Rjukan, is also cooled using mountain water.